1- Who are in the story? 2- Which sounds do you often hear? 3- Can you tell the story in your own words? Next, turn on the audio and let the child hear it being read. Finally turn off audio again and then pause when words show up. Ask the child to attempt to read the sentences. Can he/she do it? Yeah! Go out and celebrate - your child is reading. Diphthongs ‘ou’ and ‘ow’ making the sound /au/ will be learned in this funny story. 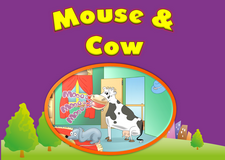 A mouse learns to deal with a noisy cow. 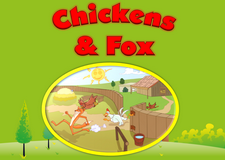 Short ‘O’ phonics story – og, ox, word families. See the short ‘O’ in action in this story. Also a great way to learn sight words. 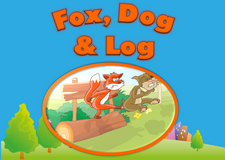 A fox and a dog battle it over who sits on a log. Short ‘U’ story – ug, uzz, uff word families. See the short ‘u’ in action in this story. Also a great way to learn sight words. A bug bugs Bunny. Long ‘i’ word families – ike, ide, ite, igh and ‘y’ as long ‘i’ will be learned. 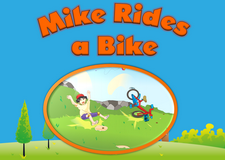 Mike learns to ride a bike properly. Short ‘a’ phonics story – at, atch, ap, ack, word families. See the short ‘a’ in action. Also a great way to learn sight words. 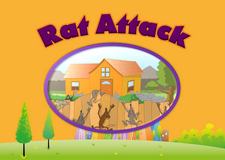 An army of rats go head-to-head with a mouse. 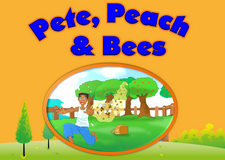 Short ‘e’ Phonics story – et, en, ell, elp, word families. See the short ‘e’ in action in the story. Also a great way to learn sight words. 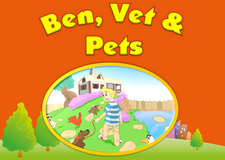 Ben learns what it takes to keep his pets healthy. Short ‘i’ Phonics story – ish, im, word families. Also a great way to learn sight words. Tim’s kitten eats his fish. Endings digraph ‘ing, ong’, ending blends ‘nd’ and more sight words will be learned in this story. 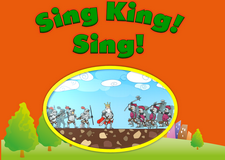 A king saves his kingdom with a song. Consonant blends ‘st, sk, sl’ and a few other consonant blends. Also great for practicing sight words. 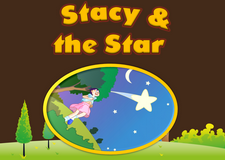 Stacy rides in a star. Consonant digraph ‘ch’ and sight words are practiced in this story. A fox is taught a lesson when he tries to steal eggs. 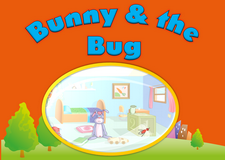 Consonant digraph ‘sh’ and sight words are learned in this story. 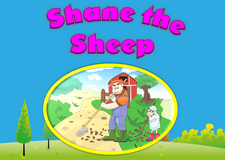 Shane the sheep learns to put on his shoes. Long ‘a’ and word families, vowel digraphs – ain, ay, ake, ate, ase, ape and sight words to learn. 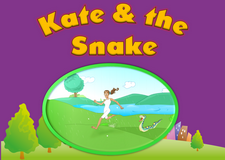 Kate is chased by a snake. Long ‘e’, vowel digraphs and word families are learned – ee, ea, ete. Pete comes up with a new way of dealing with menacing bees. Long ‘o’ vowel digraphs and word families – oat, oe, ow, ome. 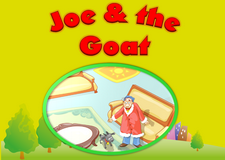 Joe shares his coat with his goat. Long ‘u’ with the letter ‘u’ and silent 'e' – ute, ule, une, ude. 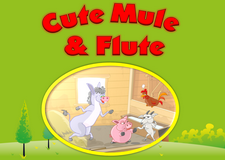 Jude the flute player fans a fan in a mule. Short ‘oo’ story. Practice the short sound of ‘oo’ and sight words. 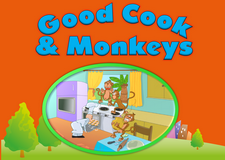 A good cook is tormented by three mischievous monkeys. R-Controlled Vowel Phonics story – ir, ur, er, r-controlled vowels. Learn r-controlled vowels in this short phonics story. You will also learn sight words. In this story, three girls and a herd of cows prevent a farmers from cutting a third tree. 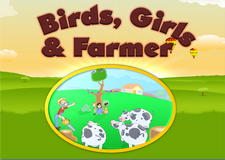 Words to keep an eye out for are – girls, birds, chirp, herd, third, first, burn, farmer. Long OO vowel digraph phonics story – oo, oo . Learn the long oo vowel digraph this short phonics story. You will also learn sight words. In this story, Loona’s dog, Boo, plays a trick on her. Words to keep an eye out for are – Loona, Boo, roof, and boots. Also notice the use of a single short OO digraph in the story in the word – look. 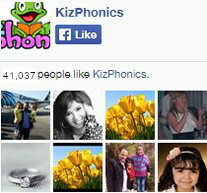 Double Vowel Diphthongs Phonics story – oi, oy diphthongs. 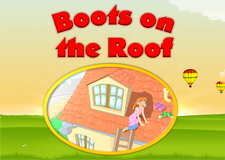 Learn oi, oy vowel double vowels in this short phonics story. You will also learn sight words. In this story, a boy falls on slippery and learns to be more cautious when playing with his toy. 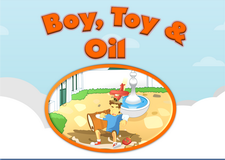 Words to keep an eye out for are – toy, boy, enjoy, oil, joy. Short ‘a’ and word families phonics story – at, an, ast, atch, ap & grab . Learn a couple of short ‘a’ word families in this funny story. You will also learn sight words. In this story, a fat cat is not match for a fast rat. 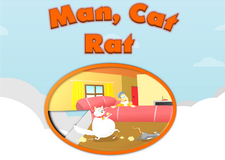 Words to keep an eye out for are – cat, man, rat, fast, catch, nap, grab. You will learn long ‘a’ vowel digraphs in this phonics story and long ‘a’ silent ‘e’ – ai, ay, ame. Learn the long ‘a’ vowel digraph in this short phonics story. You will also learn sight words. 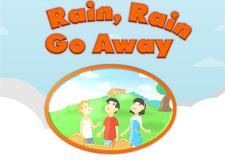 In this story, the rain stops the children from playing outdoors.